This week the theme at Christmas Card Challenges is No Embellishments. 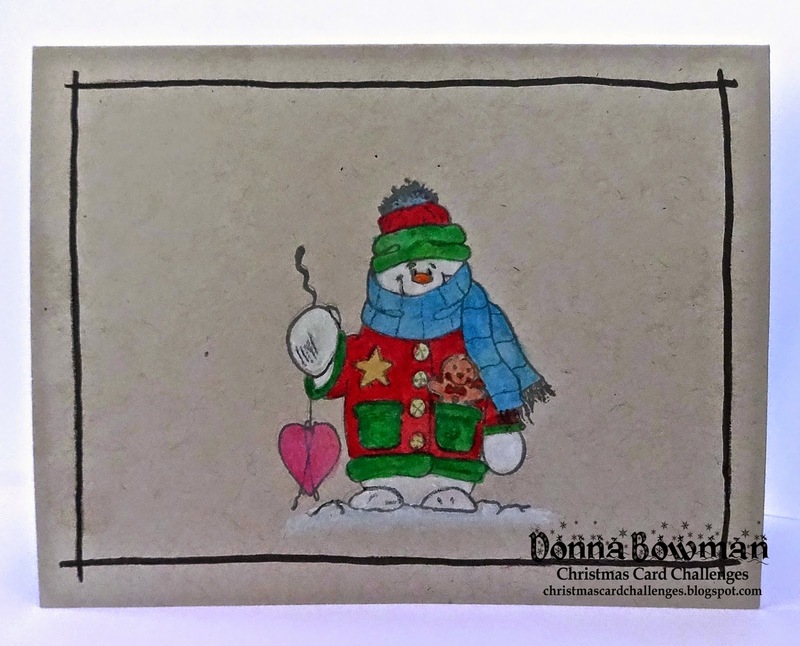 I made a simple card on kraft paper using a Unity snowman stamp. I colored him with Watercolor pencils and added a little bit of water since it wasn't watercolor paper. Then I made an outline with my Fudeball pen. I hope you will join us this week and I can't wait to see what you create!! Thanks for stopping by!